The internet is filled with a lot of polarizing opinion concerning the PlayStation 4 Neo, Sony’s internal codename for the PS4K. It’s hard for gamer’s and developers not to be excited given the prospect of better graphics, higher frame rates and the notion of an iterative console generation. But there’s also the concerns that the PS4 Neo will be constrained since the games will need to still run on the older ‘base’ hardware, and what of developers workloads, ensuring the game is bug free and playable across both devices? Before we go any further into the article, it’s important to remember that the PlayStation 4 Neo, from the rumors we’re hearing, will not have exclusive titles. That is – if Naughty Dog releases Last of Us 2 next year, it will work on both the base PS4 (the vanilla system currently out), but if you put it into a ‘Neo’ the software will recognize that, and the game will run at higher resolutions, frame rates or better graphical detail. In theory then, if you own a standard PS4 you wouldn’t ‘need’ to upgrade, and doing so would be your own decision if you can justify outlaying the cash for the graphical benefits of the PlayStation 4 Neo, or if you’d rather keep the money in your back pocket. While the PS4 Neo’s additional performance isn’t trivial, even the Neo’s GPU won’t be capable of consistent 4K gaming. Increasing frame rate to 60FPS from 30FPS, and the majority of the additional GPU resources (and presumably CPU resources) will likely be eaten up, given the act of doubling the frame rate cuts down on rendering time per frame by half (16.6ms for 60FPS vs 33.3 ms for 30FPS). From the perspective of developers – some developers seem pretty happy about the whole thing, while others remain less than convinced. 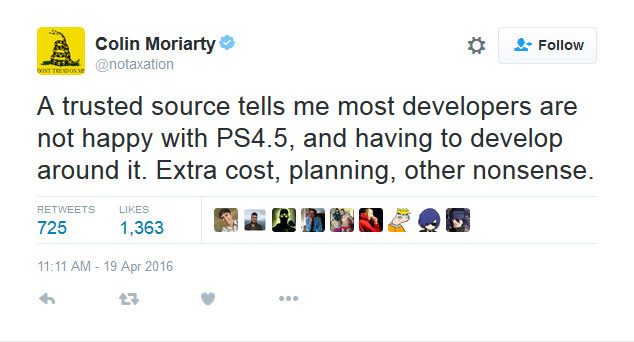 Colin Moriarty over at KindaFunnyVids insists his sources aren’t happy with the idea of developing for the PS4.5 / PlayStation Neo, reasons include extra developmental costs and time planning the software. Theoretically, assuming Sony’s SDK support for the PS4K / Neo is reasonable (which would would assume it would be), developers simply increasing the internal rendered resolution of a game to say 1440P wouldn’t be ‘too difficult’. In theory, at worst, some Neo games could bare close similarities to their vanilla brothers, albeit at worse graphical quality or frame rate. A Bioware co-founder Greg Zeschuk recently had an interview with GameSpot where he condemned the notion of upgraded consoles. “It’s like dipping your toe back into the PC pool where you have to consider all these things. It was nice on console not having to consider like performance sliders. But it’s just crazy. I guess maybe [Microsoft and Sony] feel the need to,” he said. But, while the PS4 Neo certainly ‘at worse case’ could be simply games running at a higher resolution, at best it could make quite the improvement – imagine a scenario where God of War 4 runs at 60FPS with higher graphical detail on Neo, versus just 30 with lower quality textures, geometry or less on-screen enemies (for example). It likely won’t be that much additional work for developers to support this, they would simply create the game with higher quality assets and then reduce resolution / frame rate / whatever is applicable. Think of this like creating a PC game with multiple user settings, only this time the graphical settings are based on “PS4 base” or “PS4 Neo” and will have been tested by developers. Sony don’t want games to perform ‘worse’ on Neo, so a developer can’t run a game at 4K if that title dips to 20FPS if the same title runs at 900P 30FPS on the ‘base’ unit. The biggest ‘difference’ could certainly be in Virtual Reality – where certain requirements are strictly enforced for a playable experience. On a ‘regular’ TV, developers are free to render games at 900P, 30FPS or other such performance saving measures to reduce workload on the system. The PlayStation VR doesn’t allow this – high frame rates and maintaining the native resolution are of paramount importance. Naturally, this ‘lowers’ the budget for rendering complex scenes, and with the additional performance available for the Neo, it’s hard to not think developers won’t be able to offer improved shadows and lighting, better draw distances or anti-aliasing, improved textures and other bells and whistles. With this in mind, it’s hard to ignore Sony’s GDC presentation, where the company made a great deal regarding the PS4’s ecosystem. “Every PS4 is the same,” said Sony. 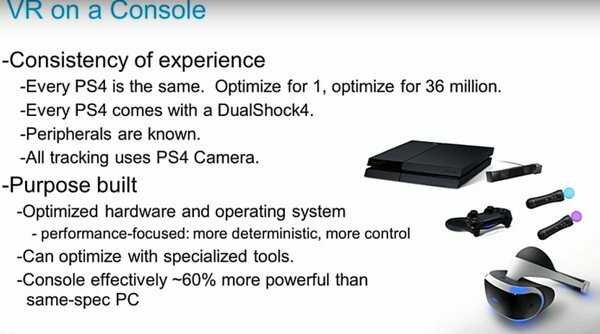 “Optimize for 1, optimize for 36 million.” This is certainly true, everyone of the current PS4’s is ‘the same’, but that doesn’t take into account the PS4 Neo’s hardware. Truthfully – Sony’s decision to not have Neo exclusive titles is the right one – the only one. Current PS4 owners would be pretty angry if they were told their 3 year old console wouldn’t even be able to boot up certain future games. Lower resolution, lower detail or frame rate is easier to swallow; and with the Neo’s price point rumored to be between $400 to $500 US dollars, it’s hard to not see a lot of gamer’s choosing to wait. Whether or not the PS4 Neo manages to gain traction in the mass market is down to Sony and their ability to market and convince users that they want to invest a(nother) sizeable chunk of change into the PlayStation ecosystem. 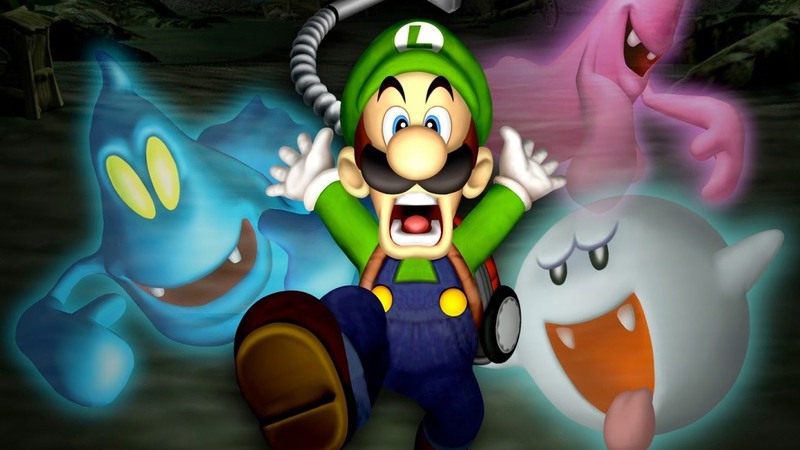 With the Nintendo NX releasing likely this year, Microsoft waiting in the wings with the supposed ‘Xbox Next’ and PC gaming hardware looming on the horizon, that’s a tall order. Sony are wisely opting to not fracture their market share, and are instead hoping to capitalize with their position in the market. Having early adopters ‘double dip’ and convincing hold outs that the upgraded PS4 Neo is worthy of their hard earned cash, particularly PC or Xbox One gamer’s. In my video yesterday, I had pointed out the PlayStation Neo might have been ‘better received’ with its initial news if it had been aimed for release in late 2017 (or early 2018) simply as PlayStation 5. Have the hardware be a 3 – 4x upgrade over the PS4, but remain totally x86 and backwards compatible with the older console. Perhaps release an upgraded PSVR (if applicable) too – and games with “PS5” on the box simply won’t run on the vanilla machine. And that’s if there is a PlayStation 5 – it’s possible the future will now be iterative consoles – hardware maintaining backwards compatibility with the older software, but offers improved levels of performance over the older generation. The most obvious comparison would be a smartphone device – such as folks running a Galaxy 6 technically can run the same software as a Galaxy 7, but with differences in the levels of performance. Will Nintendo join in on iterative systems? Lorne Lanning, the mind behind Oddworld recently had this to say during a Game Informer Podcast: “Consoles are typically six years (five to seven years). I asked Yoshida a question at dinner a few nights before DICE 2015, I said “What does the PlayStation 5 look like?” and he said “You mean if”. It was a really interesting thing, he’s hinting at “we need to be more agile, none of us know what the future looks like, so how do we adopt to it faster?”. To me, that’s the sort of way he was thinking about it which I think is the right way to think about it. The idea that you’re going to release a piece of technology that lasts seven years into the future, I think it’s less and less viable even though the generations are lasting longer. It seems like that’s in conflict, but when you look at generations of smartphones…And I’ll give you an example. We’ve talked to some of the biggest smartphone companies and what do they want? They want us to be releasing our new PS4/XB1 games titles simultaneously on their latest, most powerful smartphones, with almost the same image fidelity. Sony also want to keep momentum with their brand, and keep you invested with PlayStation. Microsoft in some ways are in a better position than Sony, because they’ve the entire Windows ecosystem to keep you locked in. As long as you buy a Microsoft game, or through a Microsoft service (UWP / UWA) they’re happy. With a mid-spec PC graphic card out-performing the PS4, it’s hard to deny that the console generation has aged a little faster than what you might expect. With the release of the NX, Polaris / Pascal for the PC this is only going to age the PS4 faster. Sony are likely to tout Neo’s other features, such as 4K streaming capabilities – and in the age of NetFlix and Amazon Prime, it’s certainly a nice bonus. Tagged with gaming, hardware, neo, playstation 4, polaris, PS4, ps5, technology.